There are no signs outside. You won’t find directions to it on your navigation app. 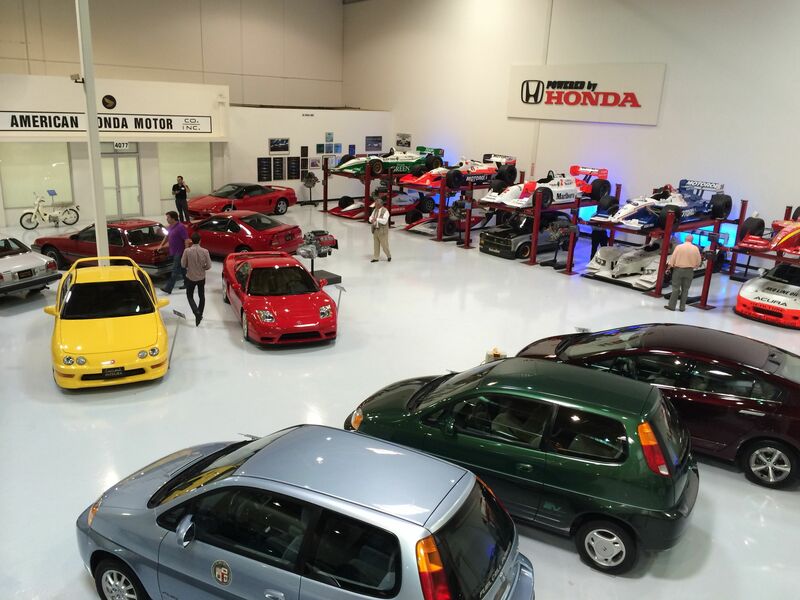 Yet the American Honda Automotive Museum in Torrance is a must-see attraction for Honda fans. We’re not sure why Honda is so coy about its private collection. They could generate funds to help maintain the collection by opening the doors to the public and charging admission. Yet that’s not likely to happen anytime soon. 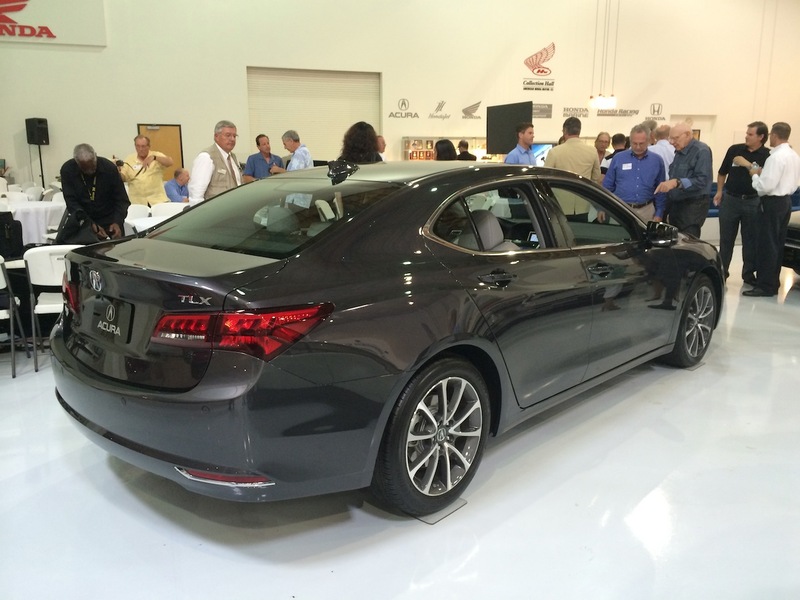 The Motor Press Guild invited us to the museum for lunch and a presentation about Acura’s all-new TLX. Perhaps the karma of Honda’s milestone cars, bikes and power equipment on display will rub off on the TLX and make it one of the automaker’s top hits? 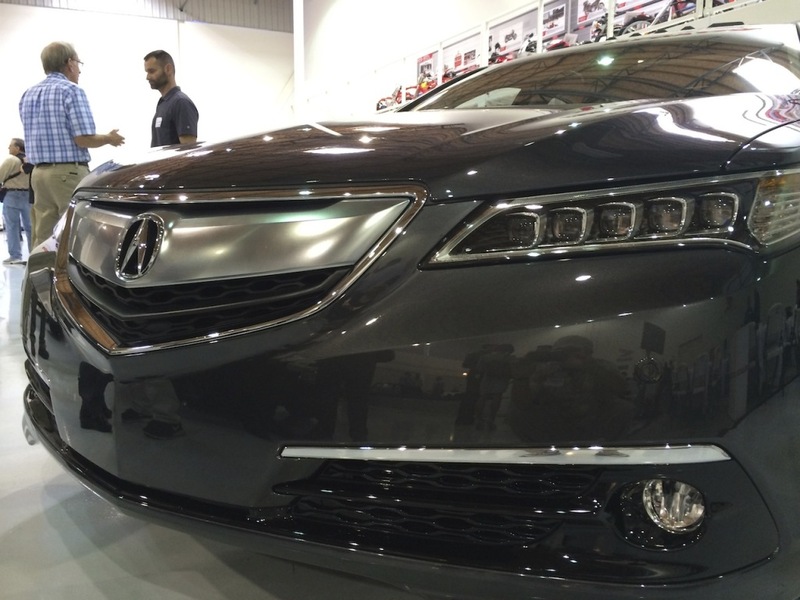 Acura Division’s Senior Vice President and General Manager, Mike Accavitti, told the group of about 100 journalists and guests that the new model was designed right up the street from the museum at the Acura design studio. Billed as the successor to the TL, which was based on the American-market Honda Accord, it also replaces the smaller TSX, which was Acura’s version of the European Honda Accord. TLX takes a page from Accord’s playbook by offering models with 4-cylinder or V6 engines. The plan is to offer lower base prices than the previous TL, which was only available with V6 engines, while still attracting those who may have considered the 4-cylinder-only TSX. 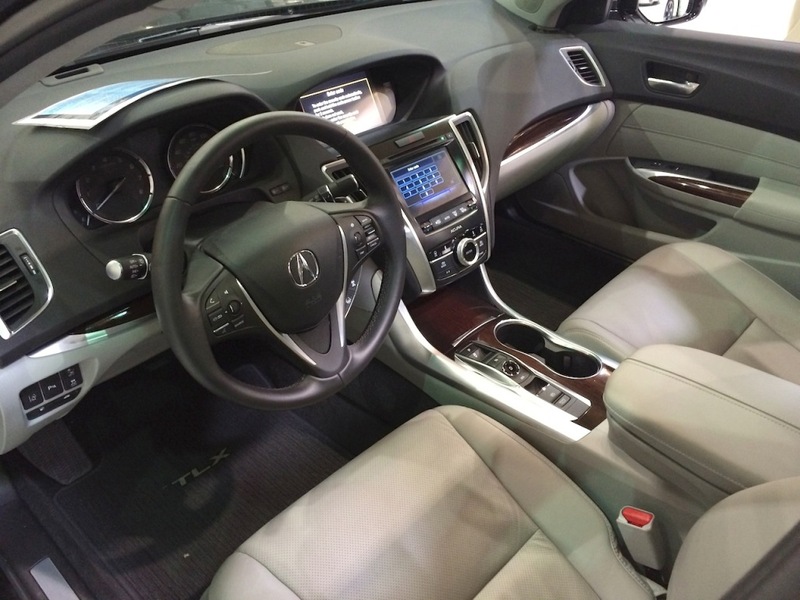 TLX’s cabin includes high-end premium elements like a soft-touch one-piece instrument panel upper cover, alloy and woodgrain accents and available leather seating surfaces with Milano bolsters. Following lunch, we were allowed to crawl around the new TLX and spend several hours touring the museum. 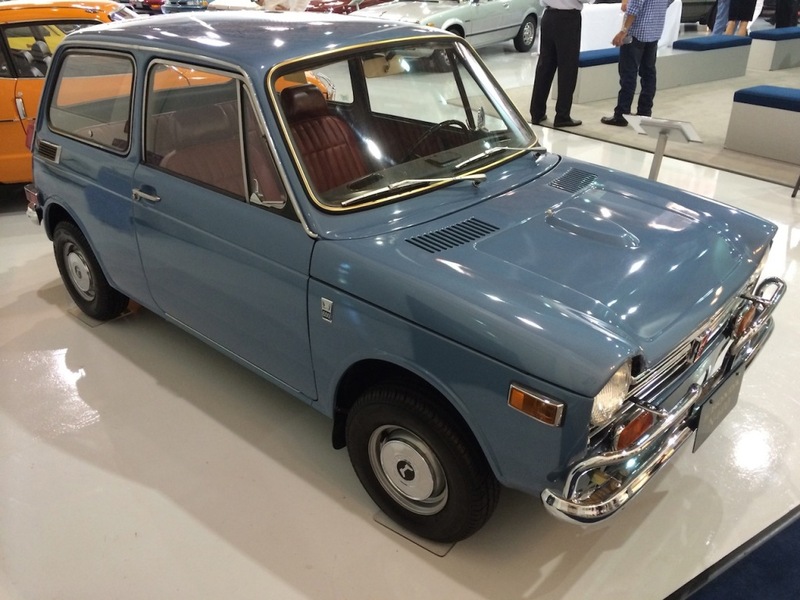 Cars on display run the gamut from one of the first N600s sold in the U.S. to popular models of the Civic, Accord and Prelude. 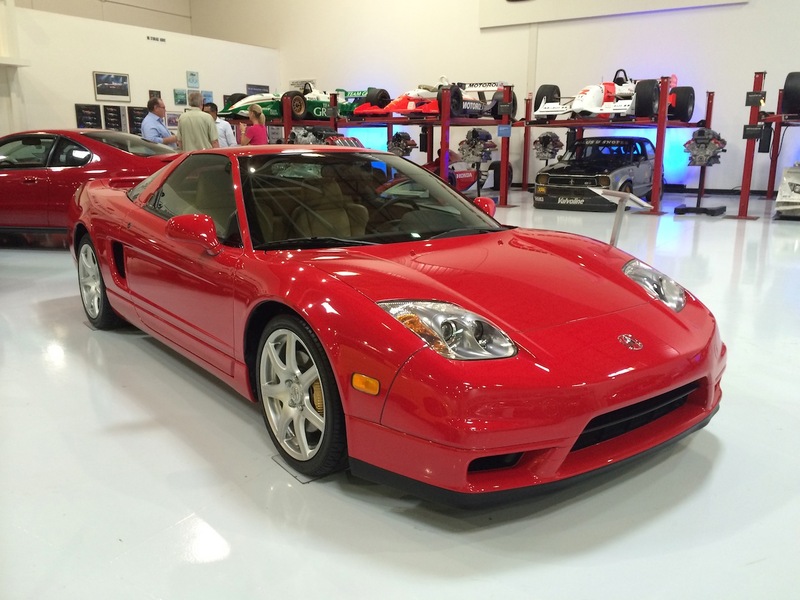 Acura was the first Japanese luxury brand in the U.S. Its models are well represented including the hot-selling Integra and exotic NSX sports car. 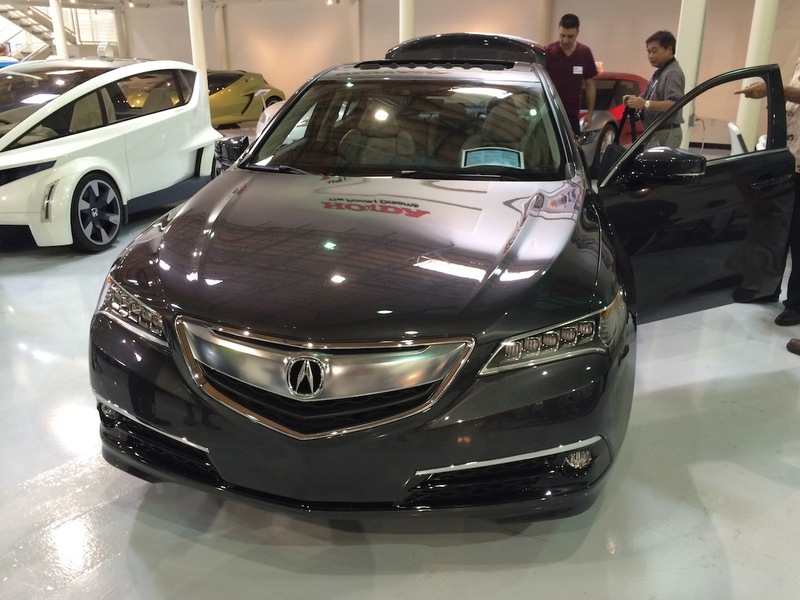 Several Honda and Acura concept cars are also on display. We remember seeing many of these one-of-a-kind concepts during auto show debuts over the years. 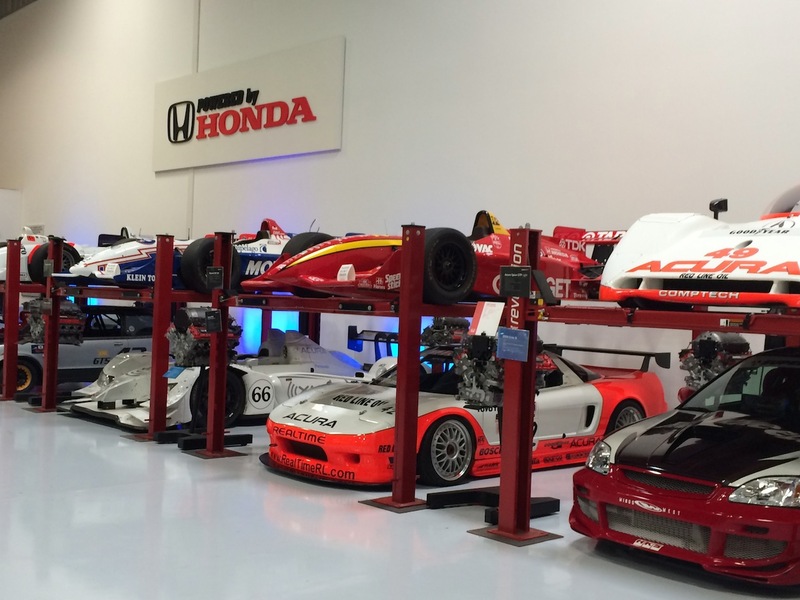 There’s a separate display for Honda’s race cars on one side of the museum. They’re all kept in immaculate condition and look like they could hit the track tomorrow. 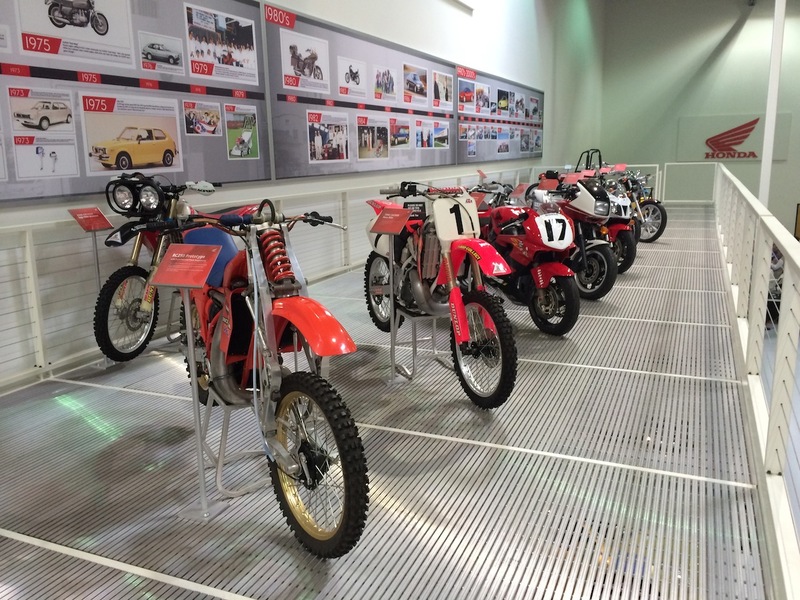 Milestone Honda motorcycles and ATVs are displayed on the main and second floors. 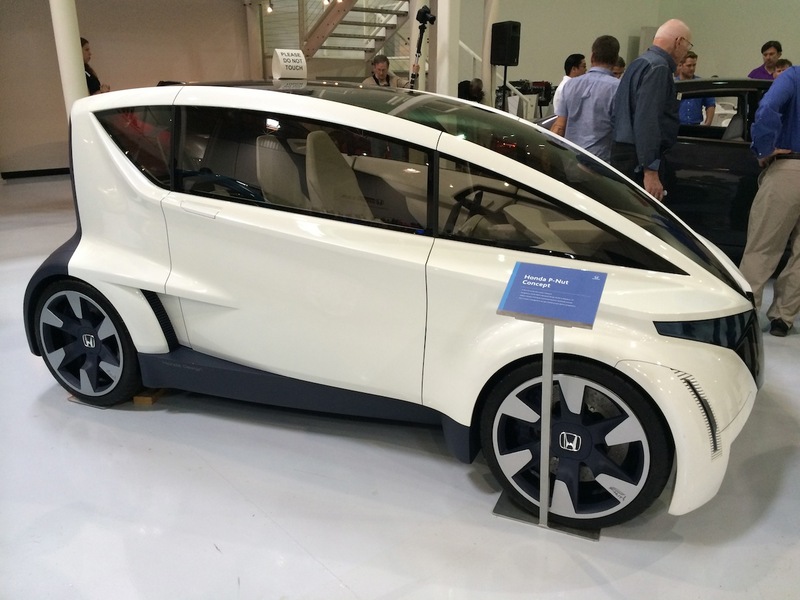 Honda makes additional products beyond cars and bikes. 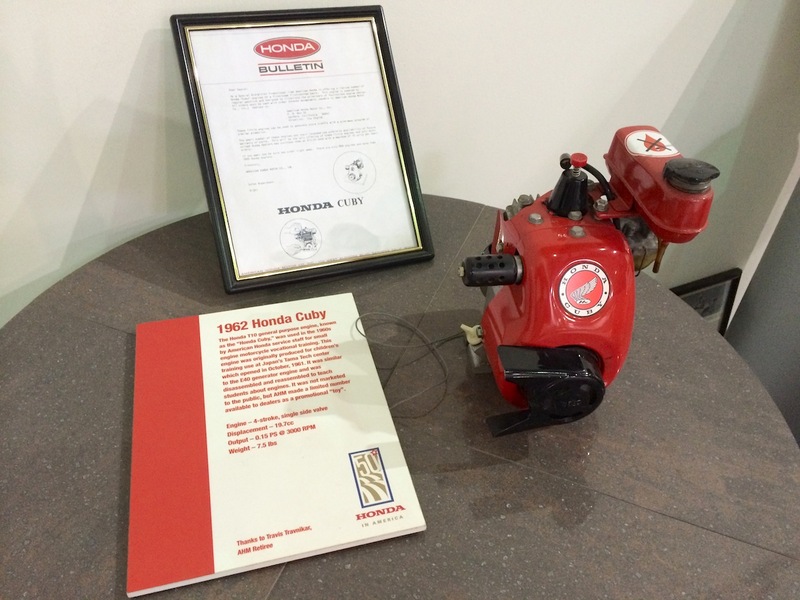 The museum features samples of Honda’s historical power equipment, marine engines and more. About the only thing missing is the Honda Jet. 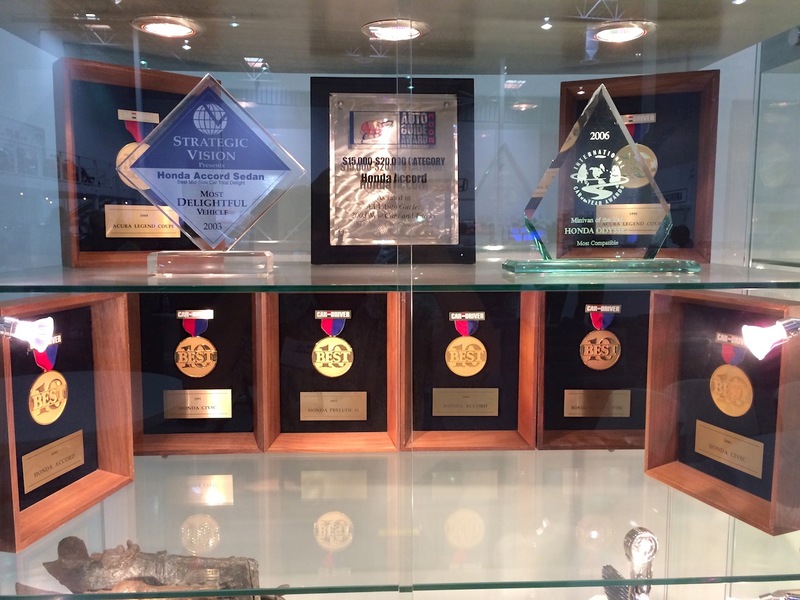 Display cases house some of the countless awards that Honda and Acura have received over the years. 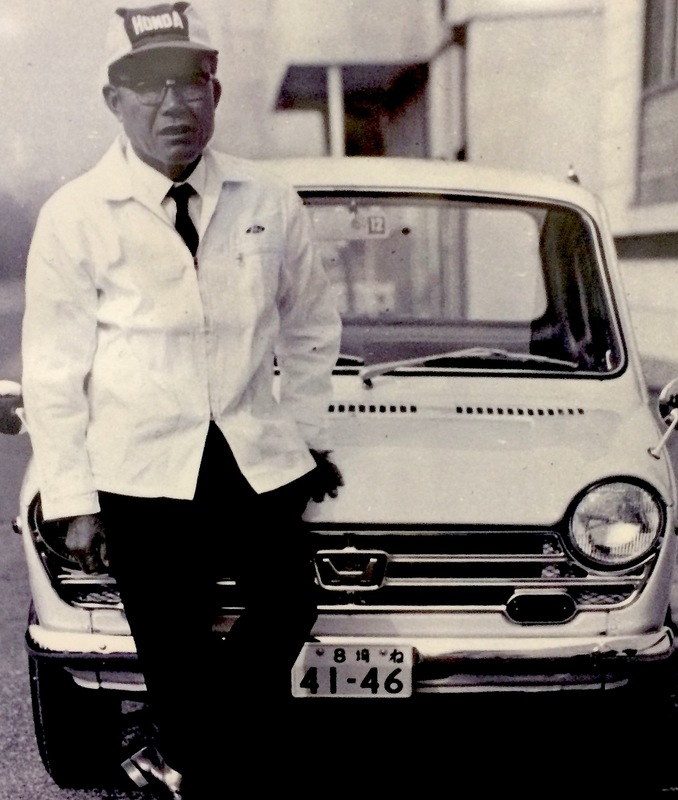 There’s a modest tribute to Soichiro Honda, the man who started it all. It was a great honor for me to shake his hand in the early 1980s. That was a day I’ll never forget. And so was this one. Hello. It would mean the world to my grandson if we could tour the museum. He loves Hondas more than anything. Is it at all possible? Thank you! Hi: Unfortunately it’s a private museum. They do occasionally use it for car clubs, press associations and special events. You can try calling American Honda headquarters in Torrance and ask. Best regards.